of more than five times a month. 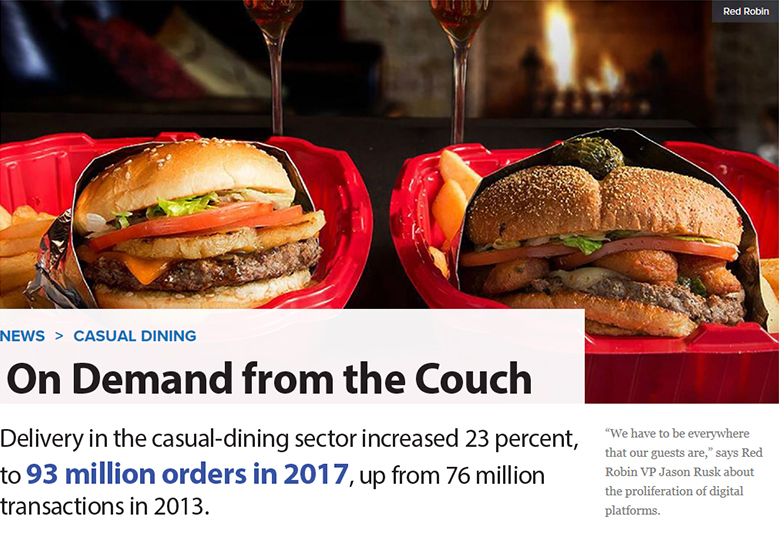 Thank lifestyle changes, the surge of delivery services or just a need for speed: Carryout and delivery purchases are up 33% across the foodservice industry. Plenty to uncover about restaurant takeout programs in Technomic Takeout & Off-Premise Dining Consumer Trend Report that can help c-store operators improve their takeout game. With a core positioning based on takeout, c-store foodservice plays directly into consumers’ increased use of carryout formats. And the opportunity is ripe for growth: C-stores can play to this increased frequency with improved practices to head off the restaurant threat. Read on for a look at the evolution of consumers’ takeout preferences.